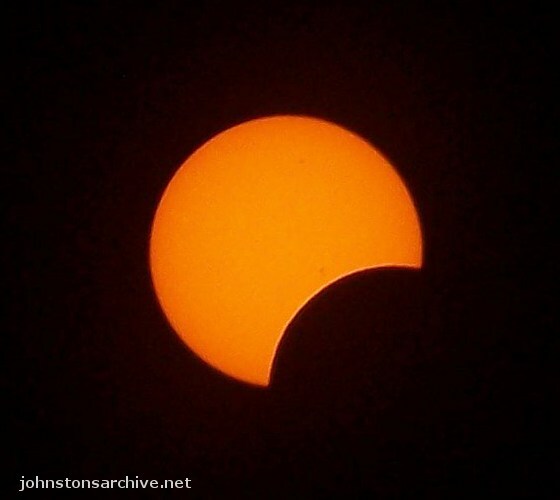 Two special events were visible from the western U.S. in 2012: an annular eclipse on 20 May and the transit of Venus on 6 June. 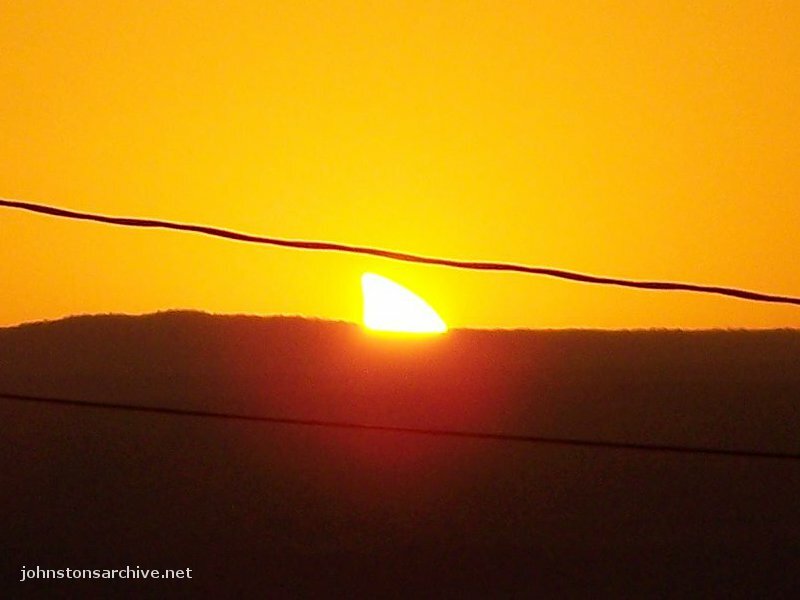 Early in the eclipse of 20 May, with the Moon partly in front of the Sun. Several sunspots are visible. 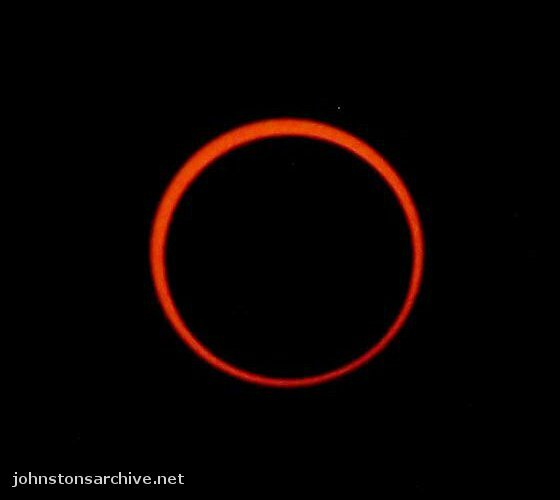 Annularity, or peak eclipse; the Moon was near its furthest point from the Earth in its orbit, so in contrast to a total solar eclipse its apparent size in the sky was too small to fully cover the Sun. 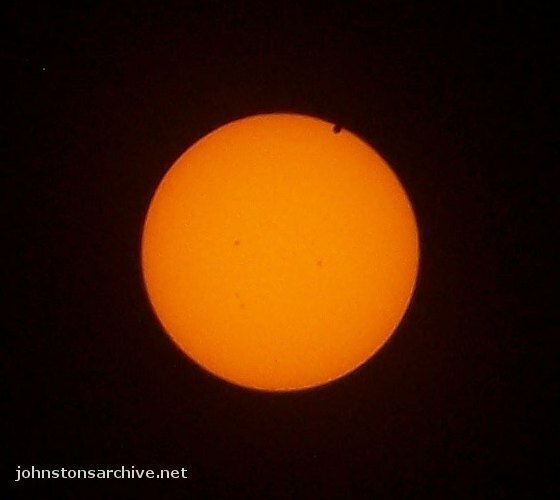 Beginning of the transit of Venus on 6 June, with Venus moving in front of the Sun. Again, several sunspots are visible; this was about 2/3rds of a solar rotation after the eclipse. Near the midpoint of the Venus transit. 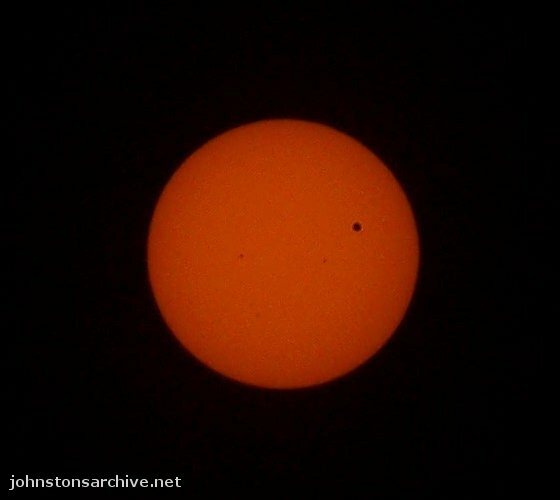 The next transit of Venus will be in 2117.